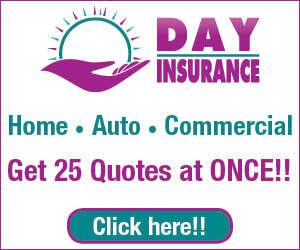 ​You can't buy insurance after you have an accident. Think carefully about the position you want to be in if you're ever in an accident, or spring a leak. Think of your boat insurance like a shield. Imagine someone driving their boat right into that shield. Will it hold? As your broker, our job is to make sure your shield can withstand as much damage as possible for the most reasonable cost. We'll show you all of your protection options, recommend the right limits, and make sure you receive every discount you're entitled too. What is bodily injury and property damage liability? Bodily injury and property damage liability covers injuries and damages to someone else. Slips, trips, and falls are very common sources of liability claims against businesses. If after a large snowfall you’ve neglected to shovel the front steps to your business and someone trips, your business is liable for their injuries. Medical payments are covered for people who are accidently injured on your property. How can I insure my boat? If your boat is valued less than $1,000 (hull, engine and accessories) you may wish to have it covered on your homeowner’s policy. If it’s valued higher than this, you should purchase a boat insurance policy. What does boat insurance cover? Boat insurance policies are very similar to vehicle insurance policies. They cover liability to other people and their property, and they can cover collision and comprehensive damages as well. Since boat insurance isn’t required, uninsured and underinsured insurance is also available to cover you if the at-fault boater has no coverage. When taking your boat out for the day, the liability insurance from the towing vehicle will extend to cover the trailer it’s on. This way, if it swings out on a turn and hits someone, your insurance will pay for the damage to the other vehicle. How much is my boat insured for? You can insure your boat for either market value or an agreed value. Market value is the current value of the boat you had. Let’s say you bought a boat in 2001 for $30,000. Now, 16 years later, you’ve had a total loss. The value the company will pay is the market value of that 16 year old boat in 2017; $3,000. Agreed value is the amount that you and your broker have determined your boat is worth. In the event of a total loss, that is the amount you’ll receive from the company. This value doesn’t depreciate. If you bought a boat in 2001 and insured it for the agreed value of $30,000, when it sinks in 2017 you would receive the agreed value of $30,000. While you will get better coverage in the event of a loss with this, it will cost more in terms of your annual premium. Where can I take my boat? Most policies have limits on where you can take your boat. Generally inland or coastal waters of Canada and the U.S. are alright. If you’re intending to travel further, say to Hawaii, you should talk to your broker about getting additional coverage for that. If I cancel my insurance half way through to put my boat in storage, I’ll save half the premium. This is false. Policies for seasonal vehicles like motorcycles, boats, and snowmobiles are adjusted for the fact that you won’t use them in the winter. Even though your coverage is good all year, you’re only paying the premium for the time you would be using it. If you were paying premiums for the full year, it would likely cost double. Leaving coverage on your boat full time also means that if it’s being stored in a storage unit somewhere and it gets stolen, your comprehensive coverage will still protect it.